Cole Gunsmithing in Harpswell, ME, is one of the nation’s leading Beretta gunsmith. For over a 20 years now, this company has been the go-to source for top-quality work on the Italian gunmaker’s full range of shotguns – over-unders, side-by-sides and autoloaders. Along with repair services, Coles also offers customized shotguns. 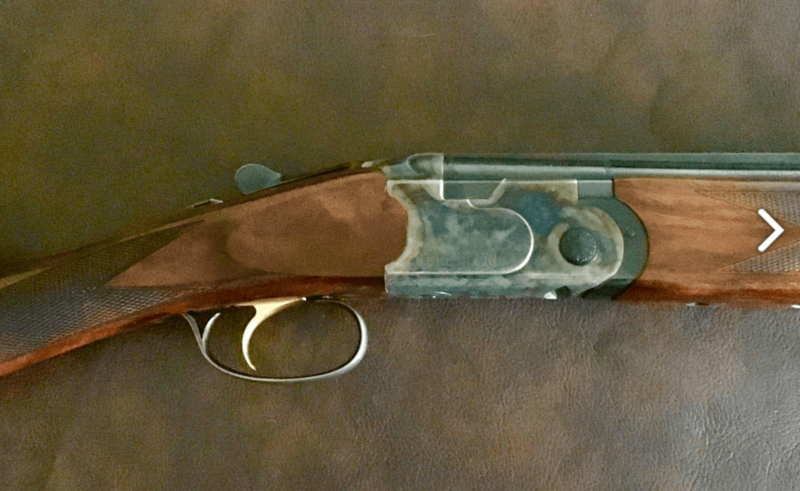 The Beretta 686 Onyx you see here is one of those doubles. With upgraded wood and a straight-gripped stock, it’s a great looking O/U. Add in the double triggers and the choke tubes and you a very unique, and versatile, shotgun Even though it’s a 12 gauge, it weighs less than a lot of American-made 16 gauges. It also has high, shootable dimensions and a decent length of pull. Beretta 686 Onyx 12ga Over-Under Shotgun: All original, 95% overall, 28″ barrels, 3″ chambers, double triggers, 14 1/2″ LOP, choke tubes, 6lbs, 11oz. If I had to pick one double for all my bird hunting, it would this 12 gauge Beretta/ Cole Custom 686 Onyx Over Under. With 28″ barrels, screw-in choke tubes, and double triggers, it could do it all from grouse in Maine to pheasants in the Dakotas.